New York: George H. Doran Company, . FIRST AMERICAN EDITION. Hardcover. Apparently one of the few Doran books from this period not to require the GHD insignia on the copyright page. Near fine copy in a fine bright dust jacket. Beautiful copy. New York: George H. Doran Company, 1925 A collection of ten railroad stories. Bound in original blue cloth with lettering and railroad signal stamped in orange. A fine copy in very good dust jacket with a few tiny tears, some edge wear, and tape reinforcement to the reverse. A very nice copy.. Early reprint. Hardcover. Toronto: Doubleday, Doran and Company ( Canada) Ltd, 1925. First Edition. Cloth. Near fine/very good. 304 p. 20 cm. 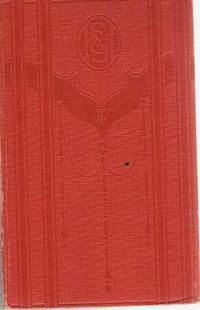 Red cloth hardcover with black print. In mylar-covered pictorial dustjacket with moderate soiling, small chips. Chip to bottom corner of p. 31. Toronto: Doubleday, Doran and Company, 1925. Cloth. Fine/Good. 304 p. 20 cm. Orange cloth hardcover in mylar-covered pictorial dustjacket. Top edge grey. Some tears and small chips to dustjacket. Toronto: The Copp, Clark Company, 1925. First Canadian edition. Cloth. Near fine/Good. 304 p. 20 cm. Blue cloth hardcover in mylar-covered pictorial dustjacket. Some tears and small chips to dustjacket as well as some soiling to rear panel. New York: George H. Doran Company, 1925. Navy cloth boards have light wear for their age, orange lettering still bright, spine has some sunning. Front board is cracking at half-title page, back board is cracking at inside hinge. Text pages are clean with no markings. Faint mustiness.. Hard Cover. Good/No Jacket. 8vo - over 7¾" - 9¾" tall. Toronto: Doubleday, Doran & Company , Inc.. Very Good- with no dust jacket. 1925. Hardcover. 304 pp. Spine, corners bumped. Orange cloth boards, black lettering on front and spine. ; 8vo 8" - 9" tall . The Copp Clark Co., Canada. Hardcover. Good. CR 1925. Good Hardcover. Blue boards. Spine slanted, edge wear, corners a bit bumped and worn through, small book store stamp on front endpaper, pages a bit yellowed, a few dog-eared pages. A decent copy. London: Hodder And Stoughton Ltd, 1925. 316 pages. Book is in Very good condition throughout. A Western Adventure. First Edition. Hard Cover. Very Good/No Jacket.